Carli works at the University of Guelph as a Library Assistant on the E-Learning and Reserves team where she supports faculty with course reserves and provides support on copyright and fair dealing issues. 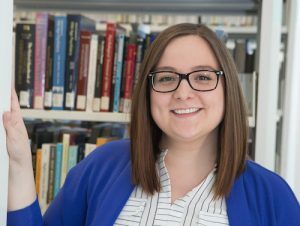 She is also interested in feminism and librarianship, accessibility in the library, and the struggles that new MLIS graduates face in the workforce. She completed her MLIS at Western University in 2017.